Thousands of people leave Christian ministry every month. They have not lost their love for Christ, or their desire to serve him. But for one reason or another, they are exhausted and simply cannot carry on. Christopher Ash knows this experience all too well. 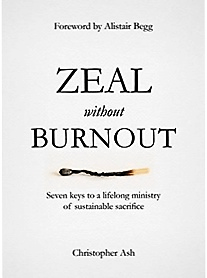 As a pastor of a growing church, and then in his role of training people for ministry, he has found himself on the edge of burnout a number of times and has pastored many young ministers who have reached the end of their tether. His wisdom has been distilled into this short, accessible book, in which he reveals a neglected biblical truth and seven keys that flow from it. Understood properly, and built into our lives as Christians who are zealous to serve the Lord, they will serve to protect us from burnout, and keep us working for God's kingdom and glory. Originally published October 01, 2016.